Just like clothes and shoes, it’s essential to get your Rolex to fit just right. Too tight and it’ll be uncomfortable to wear and look like you’re wearing a child’s watch. Too loose and not only will it look sloppy, but the watch will have a tendency to spin around your arm and be prone to more knocks and bracelet stretching. If you need to get the perfect fit but don’t know how to size a Rolex, read our handy guide for some useful tips. Wear the watch slightly above the actual wrist. Although colloquially we say one wears their watch on their wrist, this isn’t exactly the case. A watch should be worn on the lower part of the forearm, just adjacent to the wrist. Whether you’re wearing the watch on a metal bracelet or a Rolex leather strap, here is our stance. Wearing a watch directly on the wrist will be uncomfortable for several reasons. First, the bone that protrudes on the pinkie side of the wrist (the head of the ulna) will likely hurt if there’s a heavy Rolex watch sitting on top of it for a long time. Plus, the winding crown (or the chronograph pushers on a Daytona) will have a tendency to dig into your hand, eventually causing blisters or scratching. Not good! So when you’re figuring out how to size your Rolex, make sure the watch sits snug on the area next to the wrist. Some watches have technology for divers to wear over their scuba gear. Some Rolex watches come equipped with clasps that can be adjusted. For instance, the modern Rolex Submariner, Deepsea, and Sea-Dweller watches are outfitted with the Glidelock adjustment system. 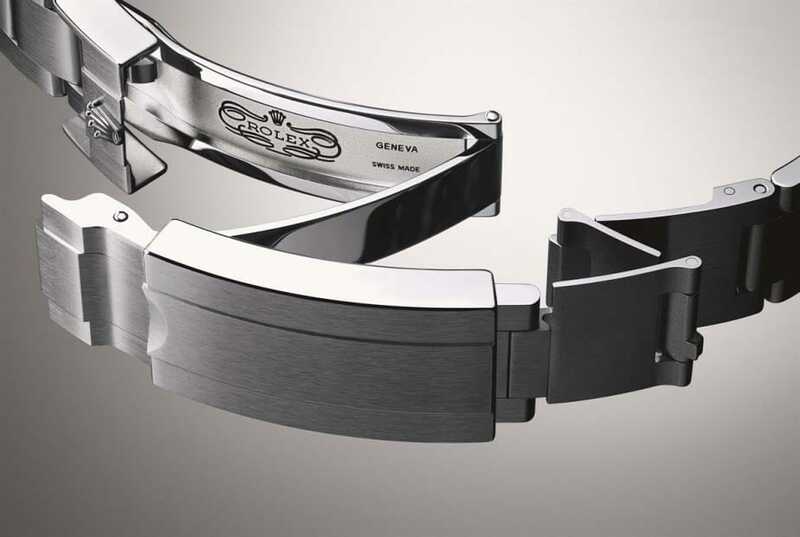 If you look underneath the Glidelock clasp, you’ll see that you can extend or contract the bracelet in 2mm increments—without a tool. You just need to pop the adjustable side of the bracelet from the clasp and glide it back and forth along the clasp until you find the size you need, then click the bracelet back into place. Submariner watches with the Glidelock system extend up to 20mm while the Deepsea and Sea-Dweller extend up to 26mm. Some Rolex watches, such as the Datejust, GMT-Master II, Daytona, and many others, come with an Easylink extension system for micro adjustments. Using a similar method as above, you can just pop one side of the bracelet away from the clasp and extend it out for a larger fit or fold it inward and snap it back for a tighter fit. The Easylink can extend/contract up by 5mm. Removing a link in the bracelet is fairly simple and easy to do. 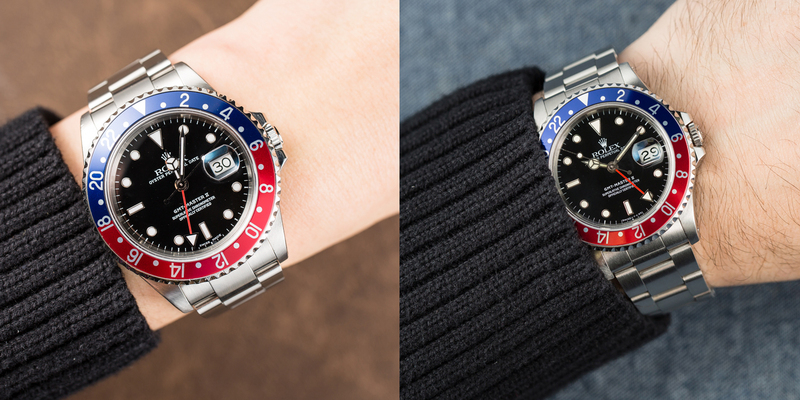 If the Rolex still doesn’t fit right after using the built-in extension systems, then it be may necessary to remove a link or two from the bracelet. You can find a watch specialist you trust to do this, or if you’re feeling confident, you can also do this at home with a few tools. 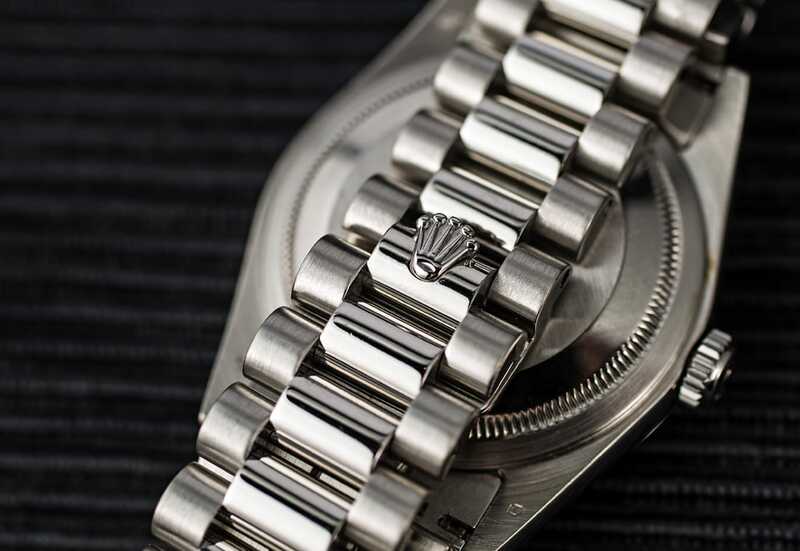 If you are removing links from your Rolex bracelet, keep in mind that the clasp should be as centered with the case as possible, rather than off to one side, to keep things balanced. If you’re removing the links yourself, you will need the appropriate screwdriver, a red bottle of Loctite solution, a soft cloth to lay your Rolex on while working on it, and some paper towels. Use the screwdriver to carefully unscrew a pin holding two links together and pull out the pin. Then wipe the leftover Loctite residue on the pin with a paper towel and set it aside. Repeat the process to unscrew the pin on the other side of the link you want to remove. To put the bracelet back together, apply a small amount of the LocTite solution on the end of one pin, join the two open links together, thread the pin through the hole, and carefully screw it back into place. Make sure to keep the leftover link(s) and pin(s) in a safe place in case you need to readjust or sell your Rolex watch in the future.